Ours is the premier Miami Yacht Rental Company since 2010. 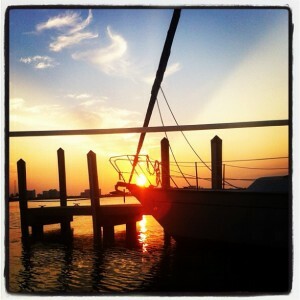 Miami Yacht Rental – About Us. Welcome to Miami Boat Rent. We are a Boat Rental and Yacht Charter Business located in Miami Florida. We have Miami Party Boats and Yachts for your special celebrations. Yacht Rental – Miami Boat Rent Inc is a company that provides yacht rentals and boat charters in Miami, The Keys and The Bahamas. Miami Boat Rent Inc was born with the objective of providing quality, fun and affordable charters. In our web page you will find Miami Boat Charters, Rentals and Miami party boats and Yacht Charters information. Above all we focus on CUSTOMER SATISFACTION. Hence all our captains are USCG licensed. Furthermore Miami Boat Rental boats are fully equipped with full kitchen and/or barbecue. They also have Premium sound systems and iPhone/Android connections. Additionally our cancellations and refund policies are the most flexible in the market. From the moment you call us, we will guide through the process and necessary explanations of chartering the right vessel for your party! Service is Miami Boat Rental number one priority. We have been established for several years now and we have made hundreds of happy customers. Because we know our business, we know Miami and we want to know YOU!! Finally, any questions drop us a line to info@miamiboatrent.com or just call us to 786 800 7220.